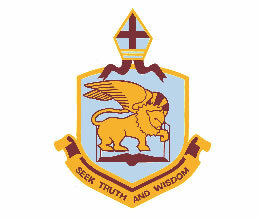 Mater Dei College, Edgewater, is a Catholic co-educational college established in 1993 to serve communities in the northern suburbs of Perth, Western Australia. The College offers a rich program in the Marian tradition of Catholic Education based on the pillars of Faith, Community, Service and Learning. The curriculum is extensive with a particular emphasis on performing and creative arts, design and technology, languages and learning technologies. Mater Dei College is located on approximately 8 hectares on the corner of Joondalup Drive and Treetop Ave, Edgewater. The College is a traditional design with wide verandas and shady quadrangles, offering a feeling of spaciousness and friendliness. To assist the delivery of outstanding curriculum, the College Boards have provided magnificent facilities including a dedicated Language Centre, where Japanese and Indonesian are offered. There is a modern gymnasium with a climbing wall. The Mercy Information and Resource Centre provides electronic and print based references and informal learning areas for students. The College has state of the art IT services including computer laboratories and wireless connectivity to support the student laptop program. A dedicated Music room (with Grand Piano) provides the facilities needed to support the 4 College bands and various ensembles. The Primary School caters for Kindergarten to Year 7, and the Secondary School offers Year 8 through to Year 12. 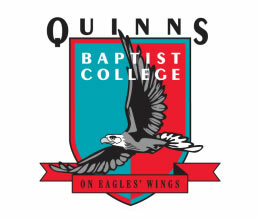 Quinns Baptist College welcomes families from different faiths, including those with no church affiliation. Although it is not necessary to be a member of a church to enroll, all parents and students must be willing to support the Christian ethos of the College. 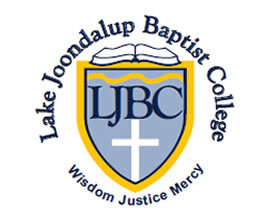 The Lake Joondalup Baptist College is a Christian, open entry Kindergarten to Year 12 coeducational College located in Perth’s beautiful northern suburbs. The College has an enrolment of 870 Secondary students and 450 Primary children. 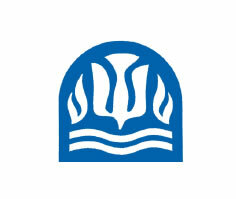 The College was established in 1990 as a ministry of the Lake Joondalup Baptist Church to provide a high standard of education within the context of the Christian faith. 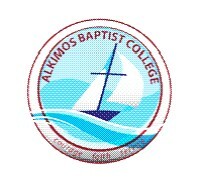 The College welcomes students of any or no faith; involvement with the Baptist or any other church is not required. 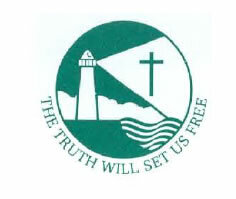 It is, however, a condition of enrolment that all students participate fully in the Christian program of the College. The College aims to provide a Christian education of excellence, encouraging a strong social conscience and developing the spiritual, intellectual, social, emotional and physical potential of our students. The LJBC Primary School provides a warm and caring environment for children, together with a strong educational foundation. In the Secondary School, excellent academic programs and a superb range of practical and vocational educational and training courses are tailored to the diverse interests and talents of LJBC’s Secondary students. LJBC supports students across all levels of learning ability, and provides a positive and challenging learning environment for all students. Talented and gifted students can excel and the learner who struggles is supported. A sense of warmth, care and energy pervades the College, which is renowned for its smart uniform, high standards and exceptional pastoral care. The College has a superb extra curricular program and students enjoy the many clubs, bands, drama activities and sporting teams. Students flourish at LJBC; it is a caring community, a place of quality teaching and learning, a place of fun and friendship; a great place to come to school! St Simon Peter School holds a significant place in the lives of Catholic families living in Ocean Reef and the surrounding suburbs. Established in 1988, Sr Breda O’Reilly was the first principal and Fr Simon Carson the first Parish Priest. The name St Simon Peter was chosen after consultation with the original parishioners in March 1987. Being a coastal area, the Parish Council looked to have a church and school named after one the great fishermen of the early Church, St Peter. The name Simon was added to the title to distinguish this parish and school from other St Peter parishes and schools. 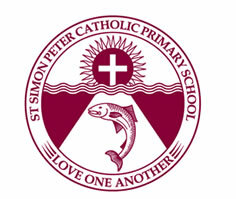 St Simon Peter School opened in January 1988 in response to the demand from Catholic families in the fast-growing northern coastal suburbs. It began as a two stream co-educational parish primary school, catering for children from Pre-primary to Year 7. However, large enrolments in the early years meant that the school had to expand and it is currently a three stream school. Welcome to the Francis Jordan Catholic School community. It is my pleasure to welcome you to the Francis Jordan Catholic School community. Our school is a family orientated, Catholic Parish community-based school, centred on the person of Jesus and the teachings of the Catholic Church where children thrive. It is the intention of all involved in the school to provide an environment where the students feel loved, safe, nurtured and valued. It is a place where each student is challenged to excel. Families are encouraged to be as involved in the life of the school as they can be. The school is a more complete community when this occurs. Respect for the dignity of each person underpins all actions and relationships in the school. The school is a learning community, where students are developed into young people who think clearly, act with integrity, generosity and humility, are sensitive to the needs of others, have a desire to serve the community and adopt a global perspective. In the spirit of Fr Francis Jordan we seek to make Jesus and His teachings known to our students and our community. Finally, our school is a place where prayer and liturgical celebrations provide a central focus for a Catholic Christian community. I look forward to working with each family. 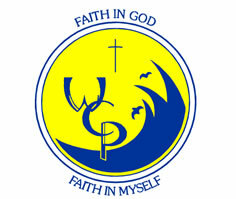 Francis Jordan Catholic School prepares students for a lifelong journey by nurturing a passion for learning and excellence while remaining centred on Jesus and His teachings. Banksia Grove Catholic Primary School lies in a beautiful bushland setting, which is an apt environment to develop an understanding of our need to care for the land and sustainable practices. Our school is a co educational primary school catering for children from Kindy to Year 7. Being a new school developed in a rapidly growing part of the metropolitan area we welcome children from all over the world throughout the school year. Our multicultural community is a reflection of our motto ‘In Harmony”. As a result we have developed an environment where Inclusivity and tolerance is essential. As a result our school offers a broad curriculum, which exposes the children to become confident and competent members of our school community and society as a whole. We work hard at developing relationships between school and home and the community as a whole. 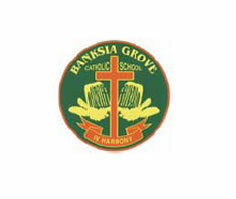 Banksia Grove has been part of the RAISe literacy initiative since 2004. In 2009 we are part of the Leading Aligned Numeracy Development (LAND) project and in 2010 Bluearth program. 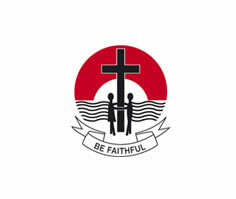 Brighton Catholic Primary School is a Catholic primary school with a strong individual, family and parish focus. The school has an effective pastoral care programme. A strong academic focus is a key element. The school also achieves well in the performing arts. Students have the opportunity to take part in school sport as well as regionally based lightning carnivals. The school also has specialist teachers in the areas of library, health, music and Italian. 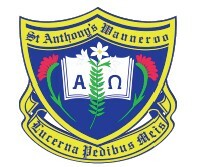 St Anthony’s School is a Catholic K-6 school servicing the parish of St Anthony of Padua in the CIty of Wanneroo, Western Australia. Our school has grown in so many ways since the first school building was opened on Wanneroo Road in 1935 and we have gained such a rich history in the many years since then. We are fortunate to have a wonderful staff, supportive parent group and a school full of energetic and friendly children who reflect the fruits and gifts of the Spirit that we value within our community. Numbers in recent years have continued to grow and with three streams in Kindergarten and Two Streams from Pre Primary to Year 6 and a 3+ program our school will this year pass 450 students for the first time. To meet these greater numbers, work continues with all stakeholders to ensure that St Anthony’s continues to strive for excellence in all that we do. To provide an atmosphere of a Christian Catholic community, where children, teachers and parents are genuinely concerned for one another. To build on the Christian foundation of faith laid in each home. To help in deepening and making more personal, the child's knowledge and love of God and the Church, in an atmosphere of practical faith. To provide opportunities for the child to participate in the life of the Church and to assist parents in preparing children for the reception of the Sacraments. To develop the child's potential in basic skills, and assist in his/her personal motivation in learning. To provide sound educational methods to meet the needs of the child and to foster an appreciation of the arts. To develop self-understanding of the child's place in society and the knowledge, responsibilities and appreciation of sound citizenship. To develop the child's physical skills which will contribute to health and social development and to develop personal initiative and responsibility. To provide adequate opportunities for parents and teachers to meet in the interest of the children. . To provide communication and interaction between other sectors of the community and other schools. To provide an avenue for parents to be more fully involved in the life of the school. 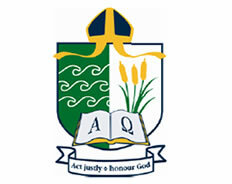 St Andrew's Catholic Primary School offers an education that acknowledges, respects and nurtures the uniqueness of each person. We provide focused teaching in literacy and numeracy to students from diverse backgrounds. Specialist teachers provide Indonesian, physical education, library, music and computing, using our well equipped facilities. A new arts-focused school hall will be completed in 2010. Our specialist classes include gifted and talented, integrated arts, Reading Recovery, and an instrumental program. St Andrews also operates early intervention programs for students at risk - academically, developmentally or socially. Within a framework of Catholic values and teamwork, the students are challenged and supported to recognise their gifts and develop their potential as they learn and contribute to their community. We are involved in interschool athletics, swimming and cross country competitions. All children are encouraged to participate. Band, choir and a chess club are also available. Our school community is very active and supportive, and has close links with St Andrew's Parish. 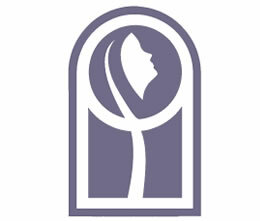 We operate a 3-year old playgroup, and Out of School Hours Care. Our vision is to be a "Catholic community where children thrive, enjoy learning and gain life skills to meet future challenges". Whitford Catholic Primary School caters for approximately 520 students in a double-stream co-educational Pre-Kindergarten - Year 6 community. The school is situated in the same grounds as Our Lady of the Mission Church and Parish Centre, in the north western suburb of Craigie. Whitford is a school concerned with people - teachers, children and parents - and together we have the privilege and responsibility of building a Christian community. A Uniting Church co-educational day school; Kindergarten to Year 12. 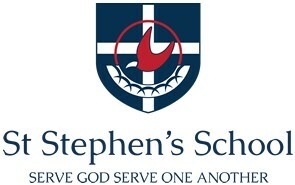 At St Stephen’s School we grow people. We are a Christian community in the Uniting Church tradition, inspiring learning that transforms and empowers lives and believe learning should be exciting, inspirational and, above all, relational. All teaching and learning experiences at our School are relationship centred inspiring students and staff to explore their place in the world. In 2013 the College endeavours to provide quality academic programs within a Christian ethos, for children in Kindergarten to Year 10. Once Primary students reach Year 7, they progress to the Secondary School, situated on the same site. The Secondary School will cater for Years 7 to 12 by 2015. A safe, caring, positive and respectful environment.High quality professional teaching staff that have a deep commitment to excellence in education and the Christian faith.Innovative academic and pastoral care programs. A firm, fair and supportive behaviour management system. Neat and attractive school uniforms.Regular and clear communication about school procedures, policies, events and academic results. Opportunities for parents to be involved in the life of the school.A professional and experienced school board, dedicated to the establishment and growth of schools with a strong Christian ethos and excellence in education. Within this framework we seek to be a community which ensures students have the best opportunities to achieve their full academic, emotional, physical and social potential, through the provision of a caring and educationally stimulating environment, within a Christian framework.